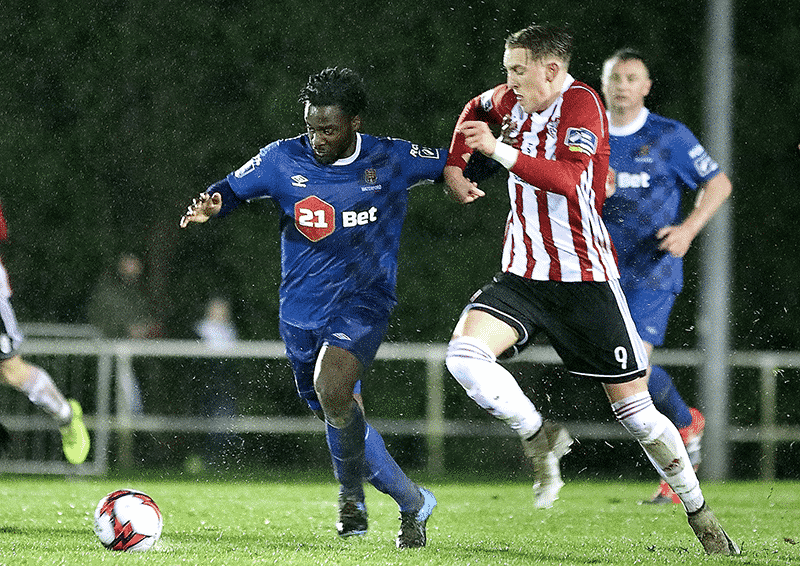 After the EA Sports Cup game between Waterford FC and Cork City fell victim of the weather on Easter Monday last, the two sides will be hoping to get the go ahead to lock horns for the second time this season in the SSE Airtricity Premier Division on this Friday night at the RSC. 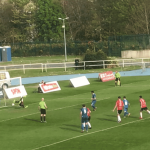 The Blues have managed to win their four previous home league games this season and Alan Reynolds side will be looking to continue their impressive start to life back in the flight against John Caulfield’s men. It was two second half goals in the space of an eight-minute spell that inflicted defeat on the Blues in their earlier league clash at Turners Cross and the Blues will be hoping to avenge that defeat in front of what is expected to be the biggest attendance that the South East venue has witnessed in years. With Cork City already selling out their allocation of match tickets and Blues fans snapping up many of the home section tickets, the sold out signs could be put up on the gates long before the 7.45pm scheduled kick-off time. Speaking before the visit of Cork on Friday night, Blues defender Kenny Browne said, “It’s a big occasion for us on Friday against Cork. If we win we can go top of the table and that’s the way that we are looking at it. “We have played them already so we know what they are about. They are a top side and they along with Dundalk are probably the best team in the country. But look we don’t fear anybody. We think that we are playing well and I think that we can beat anybody on our day. “I think that we are a different team now to the one that lost to Cork earlier in the season. We seemed to have got our injured players back and so it’s good at the moment with a healthy competition for places. Speaking ahead of Friday’s game, Waterford FC midfielder Stanley Aborah said, “I am definitely enjoying my time here at the club. I think that we have some great team spirit and really good quality players. We have good management and it shows in our results. “I don’t think that people have seen our best football yet. I think that it’s important that we keep picking up the points but I don’t think it will be long before we are playing at our best. I’m excited when I hear about how big the game against Cork City is on Friday night. Limerick last week so hopefully I can continue what I’m doing here at Waterford. 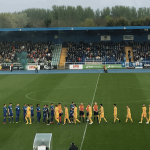 TEAM NEWS: Waterford FC manager Alan Reynolds will welcomes back Dean O’Halloran and Rory Feely from injury for the game against Cork with both players back in contention for a starting place. Gavan Holohan, who came off injured in the game against Limerick, is rated as highly doubtful while the Blues will also be without right back John Kavanagh who is unavailable due to his loan from Cork City. Izzy Akinade has returned to full fitness and will also be in contention for a starting role.